ezAccounting software makes it easy for small businesses to tracking income and expensive, and process payroll tasks. Download at no obligation by visiting at halfpricesoft.com. JACKSONVILLE, Fla. - Jan. 15, 2019 - PRLog -- Halfpricesoft.com has just released a new edition to ezAccounting 2019 software with latest tax forms and tax tables. Small business owners switching to this innovative software will now get payroll processing as well as customized estimate, receipt, invoice. blank check printing. The list of features for this application goes on and on. No matter what business you are in, ezAccounting can streamline to make it run more smoothly. 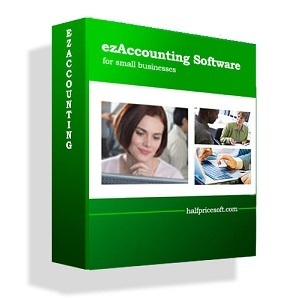 "EzAccounting 2019 software updated with small business owners in mind." said Dr. Ge, founder of Halfpricesoft.com.